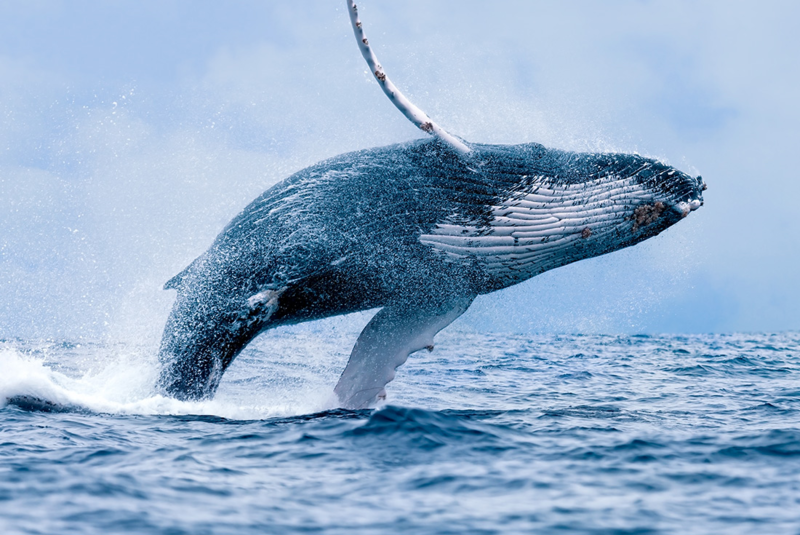 Our Arctic cruise departs from Longyearbyen, the largest settlement and the administrative capital of the Norwegian archipelago of Svalbard. 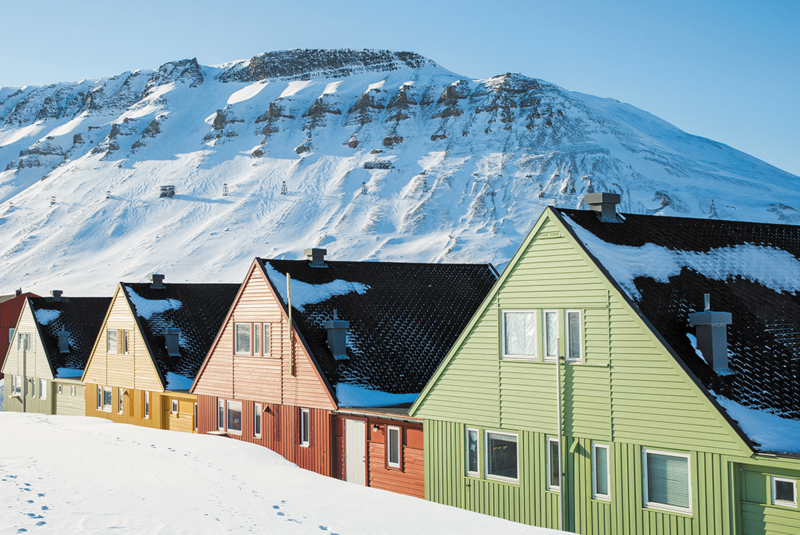 Boasting the title of one of the most northerly towns in the world, Longyearbyen lies on the western coast of West Spitsbergen, the largest island of the Spitsbergen archipelago. Once a mining settlement and dating back to 1906, the town was named after its founder, John Munro Longyear and is now the gateway to the Norwegian Arctic. As embarkation is not until late afternoon, you are free to explore the town prior to boarding your cruise ship. The Svalbard Museum features displays about the human history of Svalbard including mining and whaling, with exhibits on Arctic flora and fauna. The Spitsbergen Airship Museum has displays on the era of Polar exploration by air, and the Svalbard Gallery is also worth a visit, with various works by local artists. The ship sets sail in the early evening out of Isfjorden on its journey north. Our journey takes us along the west coast, where we hope to arrive in Krossfjorden by mid-morning. 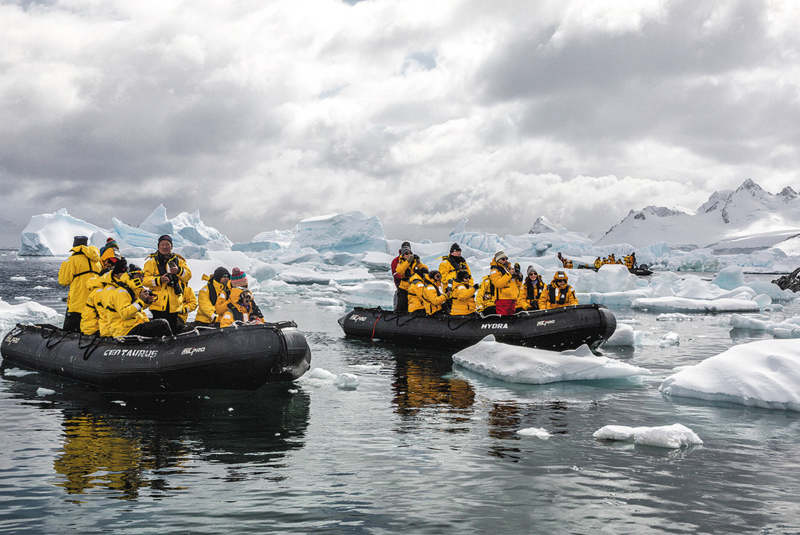 Here we board the Zodiacs for a cruise along the face of the 14th of July Glacier. The glacier was named after Bastille Day by Prince Albert I of Monaco, and extends for 16 kilometres. A colourful range of flora is found on the fertile slopes and the nearby cliffs are a breeding ground for Brünnich’s guillemots and Arctic puffins. Large numbers of kittiwake are also found here and it is a good place to spot the Arctic fox as it patrols the base of the cliffs in search of prey. Bearded seals can often be seen here cruising the fjord. 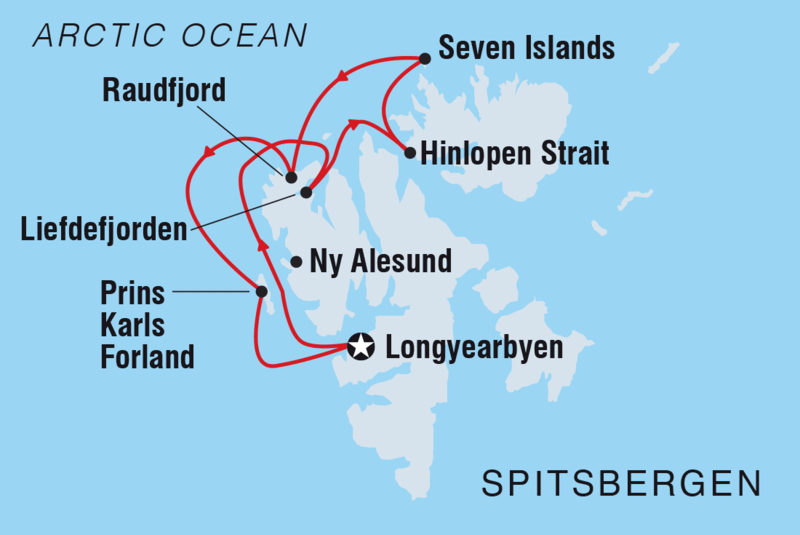 In the afternoon the ship sails to the small settlement of Ny Ålesund, the world’s most northerly permanent settlement. Once a mining village that was served by the world’s most northerly railway, Ny Ålesund is now a research centre. It is located on the Brøgger peninsula on the shores of the bay of Kongsfjorden. There is a breeding ground for the barnacle goose, pink-footed goose and the Arctic tern close to the village. If you are interested in the history of Arctic exploration, you should walk to the anchoring mast used by Amundsen and Nobile in the airship Norge in 1926 and by Nobile in the airship Italia in 1928, before their flights to the North Pole. Today sees us making a landing at the northern tip of Prins Karls Forland near Fuglehuken. This is thought to be the site where Barentsz set foot on Spitsbergen for the first time. Seabirds nest on the cliffs here and harbour seals are often sighted along the coast, the only population found in Spitsbergen. 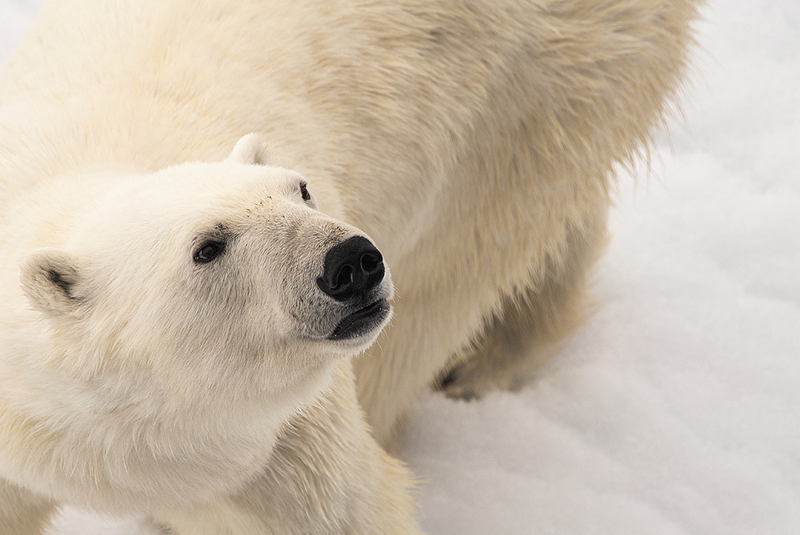 We will see evidence of the Polar bear hunting era, with the remains of demolished set guns and bear traps. There is a haul out place for walruses at the opposite site of Forlandsundet at Sarstangen. As an alternative we may sail into St. Johns Fjord or head south to the mouth of Isfjorden to land at Alkhornet. Seabirds nest on the cliffs here and Arctic foxes are often seen as they search the cliff base for fallen eggs and chicks. Spitsbergen reindeer can be seen grazing the relatively lush vegetation. Although the reindeer may seem undisturbed by the presence of humans, this is not the case. The animals must survive the harsh winters, when temperatures plummet and food is scarce and so they preserve what energy they can, fleeing only when it is absolutely necessary. In the afternoon we cruise through Borebukta, a beautiful bay in Oscar II Land on the north western side of Isfjorden. We follow a glacier face before continuing to Longyearbyen.